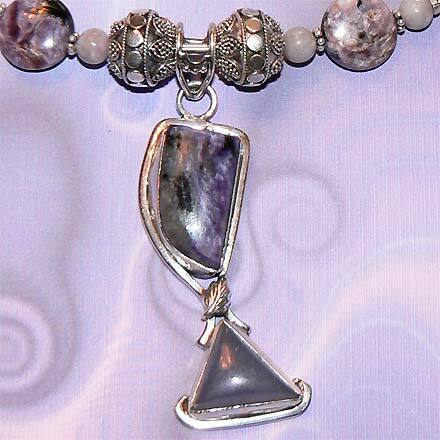 Sterling Silver Charoite and Lepidolite Necklace. See Closeup. 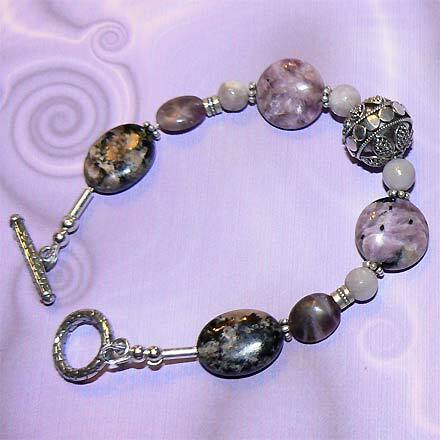 Sterling Silver Charoite and Lepidolite Bracelet. Sterling Silver Charoite and Lepidolite Earrings. Two unique purple stones each with amazing variety nearly become like one in this set for purple lovers. 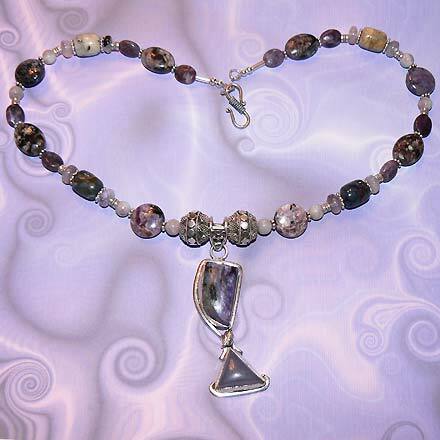 For reference, the top stone on the pendant is Charoite and the bottom is Lepidolite. 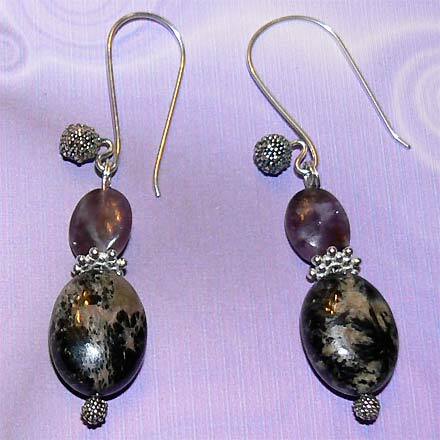 For the earrings, the top bead is Lepidolite and the bottom Charoite. As for the beads in the bracelet and necklace, Charoite is the main stone except for the following: small pale round beads and small ovals are Lepidolite. I know if I didn't take of note of this myself, I wouldn't remember as sometimes they're hard to tell apart.